Coffee Date Vlog 4 from Natalie of Good Girl Style on Vimeo. And now the random things! 1.) Seriously, if you haven't tried the snacks from yesterday's post, I highly recommend them all! I love being a small blogger because it means I can write about whatever I want...including SNACKS! The Case for Christ: A Journalist's Personal Investigation of the Evidence for Jesus (and Case for a Creator, Case for Easter, etc.) author? So that was kinda cool. Until he walked by me and sis-in-law taking photos in the hallway with my remote and the camera stacked on a bunch of random stuff as we dissolved into giggles over trying to get a picture (of us, not him). So that was kinda awkward. 3.) 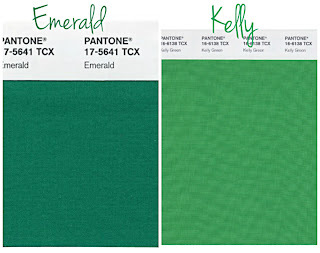 Some people are getting Emerald Green and Kelly Green confused, even major fashion bloggers. 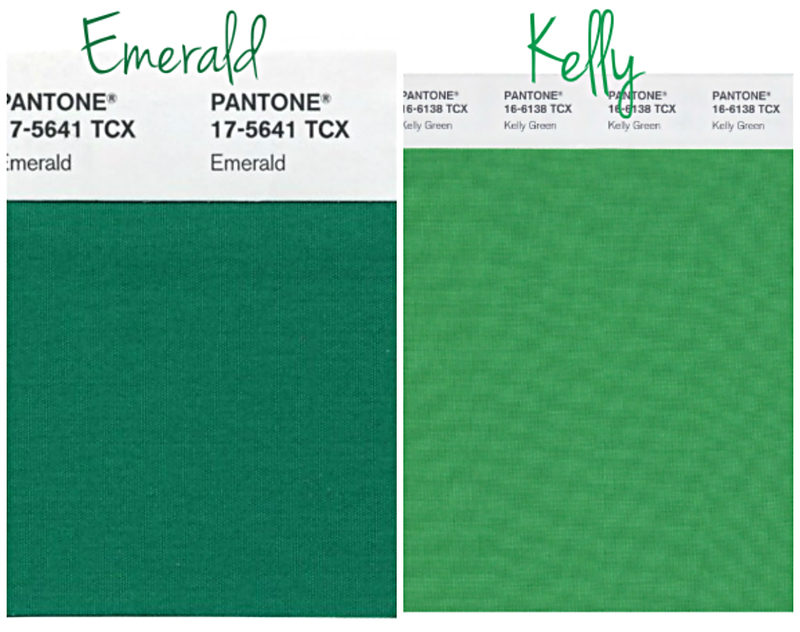 Emerald Green is the 2013 Color of the Year and it is a jewel-tone, meaning it is dark, saturated, and rich-looking with a blue undertone. Kelly Green on the other hand is much brighter and yellower. I love them both, but I just had to get that off my chest. Stepping off soapbox now. 4.) I sure hope no one ever looks at my Google Search History. Because I seriously just Google-d "How to Sell Your Life Story for a Movie." Yep. Over and out, my friends! Have a great day! Your vlogs always make me laugh. So on the purple nail polish. I would try either lavender (super pale) or super dark purple. My fave is Loreal Top Speed in Grape. And for the hat. It's cute! Try wearing your hair in a loose side braid. It doesn't help it falling off, but it eliminates the hoodrat look LOL! And you dont even look like a hoodrat! This was by far my favorite vlog you have done yet! Yes on the purple nails, no on the hat, love the green eyeliner! "Purple's my favorite color! I'm gonna wear purple allll the tiiiime!" "Ooooh, my hat...it's off in the parking lot..."
"So. Anyway. This video is getting long and I hane't told you anything worth knowing, so goodbye!" LOLs for days! I loved it and I want that eyeliner! I'm so glad you can commiserate...yes! I have some great Wet n'Wild products I love (and some I'm not so fond of...they are hit or miss in my opinion). Hehehehe...I'm glad you are laughing at/with me, Claire. I just noticed that I never pick up the hat, I just leave it behind me for the rest of the video, ha. Thank you so much, Amy!!! xo! I'm crossing "embarrass myself in front of Lee Strobel" off my bucket list!